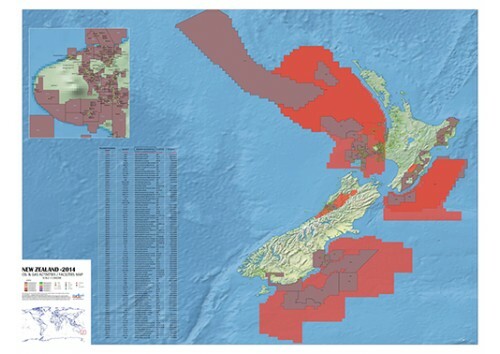 A0 size printed New Zealand map with proportionally sized symbols represent data associated with point locations for Petroleum Contract/License Area (labeled with name and operator, complete list in table), Oil Field and Gas Field, Pipeline for oil & gas, Infrastructures such as Refinery, Gas Plant, Power Plant, Tank Terminal, Port, FPSO and Platform. 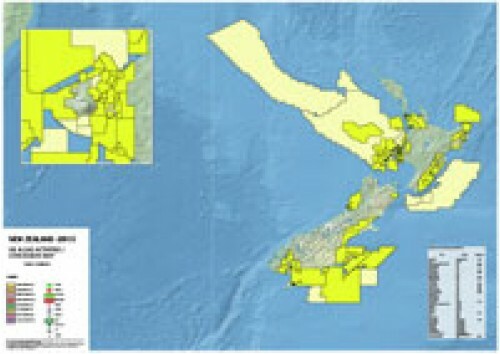 There is an enlarge map for Taranaki Area. 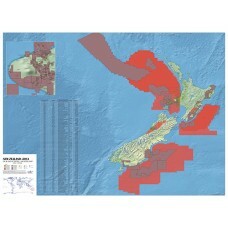 This map is ideal for group discussion and as wall poster display.